Towson fell to Villanova 3-0 on the road Sunday, dropping to 2-7 on the season despite a 16-save performance from junior goalkeeper Emilee Woodall. 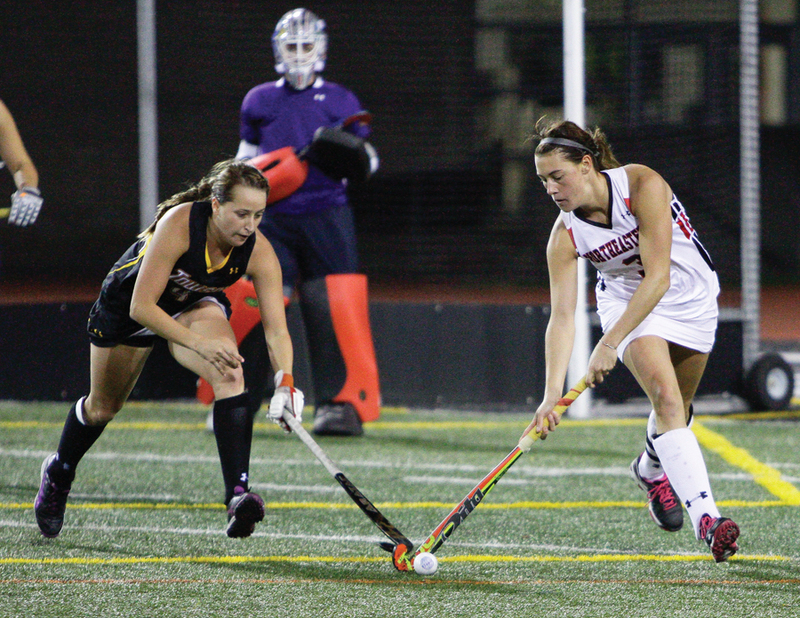 “Today’s game showed us that we need to work on mental toughness,” Head Coach Carly Campana said. For the first 27 minutes of the game, neither team scored. The Tigers defense fought off three penalty corner opportunities, but the Wildcats ended the scoreless streak when Emma McLaughlin scored the first goal of the game at the 28:35 mark. Despite trailing, Towson denied six more shot attempts by Villanova and four penalty corner chances. Towson went into the half down 1-0. The Wildcats scored their second goal 59 minutes into the game, when Abby Siana put home a rebound shot to make the score 2-0. Villanova scored its final goal of the game at the 69:31 mark, when Francesca Bello put away another rebound opportunity to secure a 3-0 victory. Despite the loss, Woodall made 16 saves which marks her career-high. She has had six games this season where she has had double digit saves. Junior Taylor Kvilhaug and freshman Korena Shaw attempted the only two shots of the game, but they were blocked. The Wildcats outshot the Tigers 38-2. Towson will look to get back in the win column Friday when the team opens up Colonial Athletic Association (CAA) play against rival William & Mary. The game is scheduled for 7 p.m. in Williamsburg, Virginia.